Tuymazy is a member of the WHO Age-Friendly Cities Network. Its way to age-friendliness started from participation in the WHO Global Age-Friendly Cities Project in 2006. The City. Tuymazy is a regional center in the republic of Bashkortostan, in Russian Federation with population of 100,000 people, 13% of whom are over 65 years old. It is a typical post-soviet city, with multi-ethnic population, but mostly speaking Russian, developed chemical and machine building industries. The city was planned and constructed mostly in 1960s, reflects the Soviet tendency to have multi-storied apartment buildings, has a few parks, and is generally green. Most social trends typical for post-soviet Russia are true in the city, too. Such problems include multiple problems with traffic because of growing number of vehicles per capita; infringements and corruption in such an important area as healthcare; little representation in media and little knowledge of people about nonprofit nongovernmental organizations; growing income but also growing disparities of between the poor and the rich. WHO AFC research. 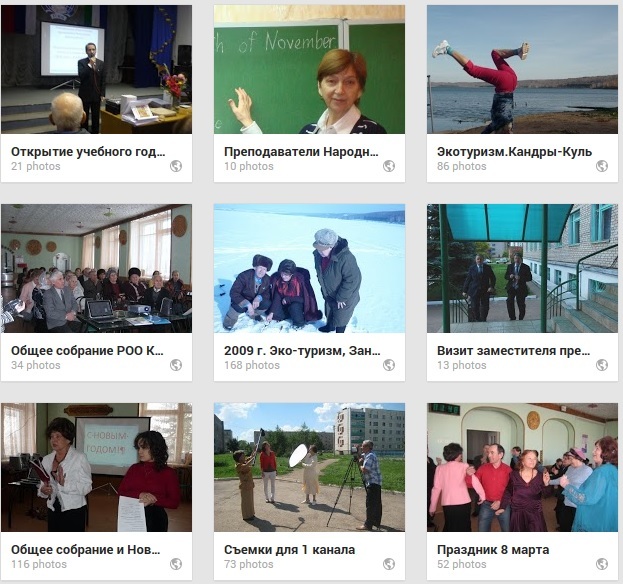 Thirteen groups with total number of 102 participants were conducted in Tuymazy. Due to the system of the governmental pensions most older persons have the same level of income, therefore, eight groups of older persons were divided according to their age (60-74 years old and 75 and older), but they were not divided by social economic status. Two groups of caregivers with total number of 7 people, and three groups of service providers from each sector were conducted. The groups of caregivers and commercial service providers were especially difficult to recruit. Heavy reliance on contacts of the veterans’ organizations could have led to overrepresentation of the persons, who already actively participate in the social activities and leave out those who don’t. Also, most fragile older persons, especially with ailments and disabilities refused to come to groups, even though transportation was provided. Another limitation comes from the fact that researchers did not have enough control over recruitment of persons in governmental and commercial service providers groups. This led to over representation of one type of services over the other (for example, too many social workers, no policemen in the governmental group) . The findings. Overall the findings reveal that city is a complex combination of age-friendly intentions and barriers. The oldest city dwellers are most satisfied with the conditions of living in the city. They compare life in the city with the most difficult time in their lives and find the conditions now improved. Also, as a rule, they enjoy higher pensions compared to the pensions of the younger groups. The caregivers groups introduced the needs of the very frail people and persons with disabilities as no other group did. The least familiar with the problems of the older generation were participants of the commercial service providers group as they were relatively young and dealt with older persons relatively rarely compared to the other two groups of service providers. It appeared that only the group of governmental service providers was fully aware of the entire range of services provided. All other groups either did not have the information at all, or heard something but did not know how to use the services. Overall, physical environment and conditions of the city are satisfactory for an older person, and are being improved. However, the evident minus is open negligence of the needs of persons with disabilities. Even though some steps are being made in this direction (such as constructing disability ramps), but most of them are just formalities, in fact not useful for the purpose they are supposed to serve. Furthermore, some problems of the physical space arise from the unsolved social dilemmas. An example would be an issue of community benches, which are occupied by the youth gangs because they have nowhere else to gather. Both housing and transportation are perceived to be good, but the cost and disability accommodation are a concern in both cases. Also, more trips to the garden areas and new services for apartments and single family houses are desirable. Establishing some kind of committee to monitor transportation and construction of new housing seems to be a common, well supported suggestion. The situation is even more complicated with social inclusion and participation. Even though overall attitudes towards older age are negative, people definitely show respect for their close neighbors or relatives. Moreover, people’s awareness about existence of the senior citizens is mostly activated during the two major holidays that commemorate older persons deeds, but are dormant at other times. Also, there are a few opportunities to get involved and participate in social life, but unfortunately they are very limited. Creating subsidized coffee shops for older persons as well as more open clubs and organizing intergenerational and educational opportunities were suggested. Opportunities for civic engagement and employment are extremely limited either by exclusive nature of the clubs (which are only open for a small number of people), or open discrimination at workplace. Gardens used to provide both socializing, hobby and additional “in-kind” income, but became very unsafe and are frequently robbed. Some of the solutions included organizing patrols for the gardens, providing additional education, offering jobs with flexible schedules. Communication of information definitely constitutes a problem in the city. Even though mass media is relatively readily available, but the cost is growing. Moreover, there is clearly not enough effort to communicate relevant information and offer appropriate content to older persons. The topic of community support and health services was the most disastrous of all. Even though healthcare is free and there are many services available, most of the group participants did not know anything about them. Moreover, the theme of infringements and mistreatment in healthcare dominated the discussions in most groups, except the public group. Suggested solutions were based on introducing separate appointment lines and services open only to older persons, introducing community senior center with all kind of services. All the proposed solutions range from global solutions (like raising pensions) to local people’s collective efforts, such as organizing planting trees, to pleas to local healthcare authorities to introduce new forms of evaluation of medical staff. Evidently, some of the problems require action at a governmental level, such as the amount of pension’s allowance. However, some can be solved at the city level. Moreover, the citizens may be organized to contribute to the solution of the problem. Some suggestions could clearly be implemented by existing non-profit organizations or by a new agency. Please follow the link below to download the paper about current situation in social politics for seniors in Russia, results of Global Age-Friendly Cities Research in Tuymazy, Russian Federation and plans for further development of age-friendly social and physical environments in Russia.